We repair and maintain import and domestic cars, light trucks, and SUVs. 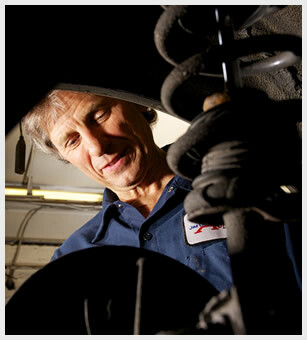 Fast, friendly and quality service from Ottawa auto mechanics who care about you and your vehicle. We’ll Repair ONLY What’s NECESSARY with your prior authorization and advise you of other potential problems we notice without pressuring you. Our certified Class “A” Technicians receive In House Satellite training so your car will be repaired right the first time. My overall feeling about Jim Dickinson Auto Tech is a very favourable one including: honesty; integrity; comitted to clear communication and relationship building with customers; technical expertise and service excellence; fair dealings and friendly staff. Very-very-Good Prompt-Service-Friendly Benefits: The explanation of the problem so one could certainly understand fully- Also done on time. I believe the owner has a passion for his business. He wants to do a good job so his customers always come back. I like the fact that when you can’t fix a problem that you can recommend a solution to a problem. ie. You did recommend going to my dealership for fixing my sensor. You support your customers by supporting them with business because you know that one good turn deserves another. I just wanted to thank you for the advice you gave me after our first big dump of snow in December. I called you because the wheels on my 2001 Volkswagen Beetle felt like they were going to fall off when I drove above 60km/hr. You asked me if I had driven through any snow banks which as it turned out, I had. You then suggested that I take the car through a carwash because you suspected that ice had built up on my wheels. Well, lo and behold it worked! This is just a further testament to your expertise as a mechanic and your ethics as a businessman. Knowledgeable, honest proprietor; Very professional businessman. Jim is friendly and cordial. One feels at ease with him – no pressure tactics applied. Jim does not guess about complicated repairs. He knows the job and accomplishes all tasks with confidence and skilled determination. I rely on Jim and his staff to keep my 18 year old Pontiac 6000 running smoothly, and to this date has not let me down. Everyone is helpful and very knowledgeable about cars. Whenever I speak to Jim or Rob I get the distinct feeling that they actually know what they are talking about. In other words I talk to experts which is what I want! On top of that you care about my car! Very capable & competent. Work as always done right, on time. The car is always ready on time, at a reasonable price with no call backs. Advance warning of future problems.